Standards: The student will explain the causes, events, and results of the American Revolution. 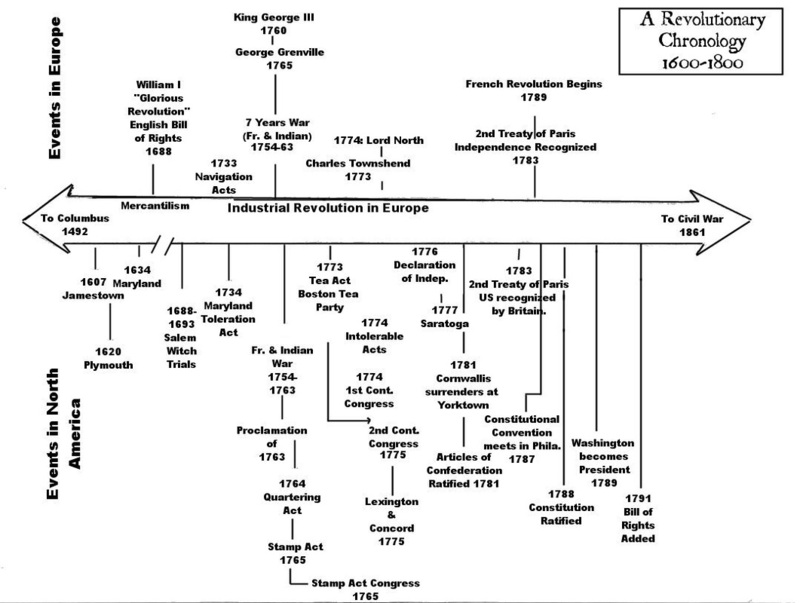 ~ Trace the events that shaped the revolutionary movement in America. ~ Explain the writing of the Declaration of Independence. ~ Describe the major events of the American Revolution and explain the factors leading to American victory and British defeat. ~ Describe the key individuals in the American Revolution. The student will analyze the challenges faced by the new nation. ~ Identify the weaknesses of the government established by the Articles of Confederation. ~ Identify the major leaders of the Constitutional Convention, and describe the major issues they debated. ~ Identify the three branches of the government, what they do, how they relate to each other and how they relate to the states. inclusion in the Constitution in 1791. ~ Describe the causes and events of the War of 1812.